The Business Franchise Tax is a tax on the privilege of doing business inWest Virginia. 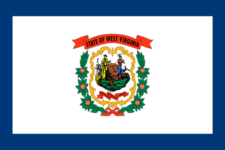 Any domestic corporation, any corporation that has its commercialdomicile in West Virginia, and every corporation and partnership that owns orleases real or tangible personal property, or is doing business in West Virginia is subject to the Business Franchise Tax. Never forget to file WV CNF-120 again.